drawings & other contract docs. Learn advanced P6 features & tools. Students have been asking me for years for an Advanced course on Primavera P6, and now I'm delivering! I've tried to my best to make this course one that reflects today's REAL WORLD scheduling needs. That's why I've got drawings, an estimate, bid documents and even report templates from which we can build a real schedule. 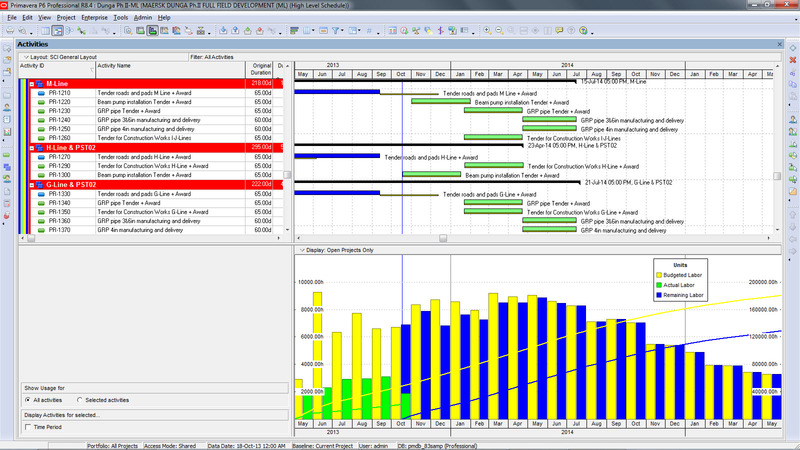 Join me and learn what it takes to master Advanced Schedule Building in Primavera P6. This course is spread over 2 weeks with 2-3 live sessions per week. There are lots of exercises for you to practice what you learn. You will have homework. Student #1: You already have experience building project schedules in Primavera P6 in the real world, but you want to take your skills to the next level. Student #2: You work for a contractor and have already completed Primavera P6 training, but you want to learn how to build real-world schedules that are cost and resource-loaded. Student #3: You are a seasoned planner & scheduler but need a refresher on the Advanced features of planning & building schedules with Primavera P6. IS THE PRIMAVERA P6 SOFTWARE PROVIDED FOR THIS COURSE? YES. We will provide you with a login to a cloud-based Primavera P6 Professional install where you can login and complete the course work. You must use this install and be able to connect to it. The install will be available 24/7 during the course so you can complete any homework required. You must have completed a Primavera P6 introductory course. This course is NOT for beginners. It is geared for students who have 1-2 years of experience using Primavera P6 on real-world projects. We will move fast, so you need to be already versed in Primavera P6 Professional to join us. If you've never used Primavera P6 before or you have but not for quite a while, please check out our Practical Primavera P6 online course. DOES THIS COURSE HAVE HOMEWORK? I'm a huge believer in the principle that repetition is the mother of skill. Expect to have to complete some schedule building outside of our course hours. WILL YOU RECORD THE LIVE SESSIONS? Yes, all of the live sessions will be recorded and available to you in your account on PlanAcademy.com for 1 year. ARE THE LESSONS RECORDING DOWNLOADABLE SO CAN I VIEW THEM OFFLINE? Unfortunately, the recordings must viewed while logged into the Plan Academy website. However, you can view them through any device. Our website is mobile-friendly and looks great on any device. Yes. But to earn a certificate for this course you’re going have to do some work. In this course, you'll be paired up with a fellow student. You will be required to compile a review of your partner's schedule and it's adherance to a schedule specification. You will need to complete the LIVE presentation in order to earn a certificate. This course is being recorded as an on-demand course to be available later in 2019. If you would like to be notified once this becomes available, please fill out the form below to be placed on the waiting list. Great course! What made this course so valuable is the fact it taught me to create a project schedule in a similar way to how its actually done in the real world. The course helped me leverage the concepts and tools I learned in P6 to help add real value to my project stakeholders. Highly Recommended to anyone that is serious about greatly enhancing their P6 skills and knowledge. Absolutely recommended. Lots of new knowledge and tricks in my personal baggage now. The instructor is really focused on everyone's effective achievement of the course goals. Each of us believes that he is more or less versed in Primavera P6. Everyone applies it to a greater or lesser extent and considers himself almost an expert ... but until the moment when you begin to learn the Advanced P6 Scheduling Building for Contractors. Only here you understand how much this subject is wider and deeper and how much more needs to be studied. Excellent course and excellent teacher. I received a new baggage of knowledge and practical skills that I had never known about before. And all this happened in a real time and on the basis of a real project taken from life. Highly recommend this course for everybody interested. Great information presented in a comfortable environment.